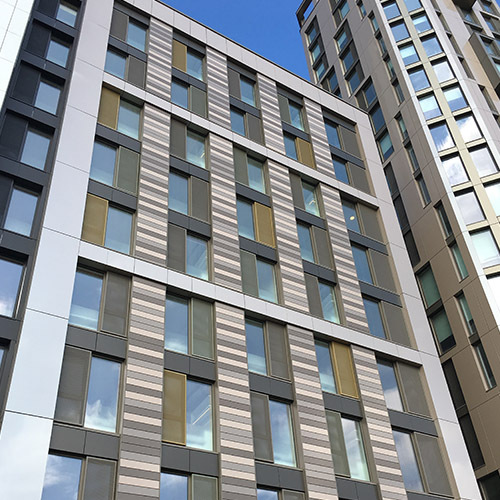 Keeping with the ever-popular trend towards modern methods of construction, client Pocket Living LLP decided to build their 27 storey residential tower from prefabricated volumetric modular units manufactured off-site by Vision Modular Systems. Aluminium windows were installed by Century Facades in Visions Bedford factory. 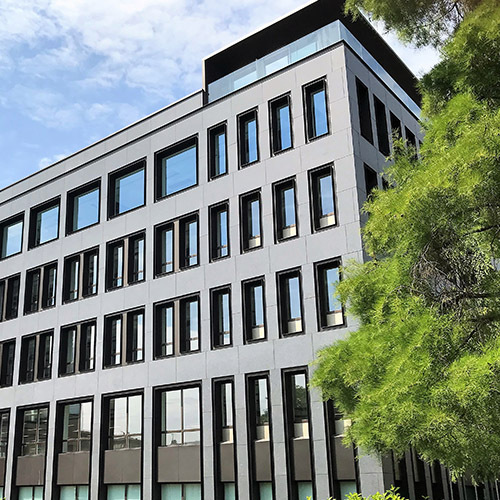 Century Facades also carried out the complete design, supply and installation package of the high specification glazed terracotta cladding, plus all associated feature metalwork and glazed balustrades.